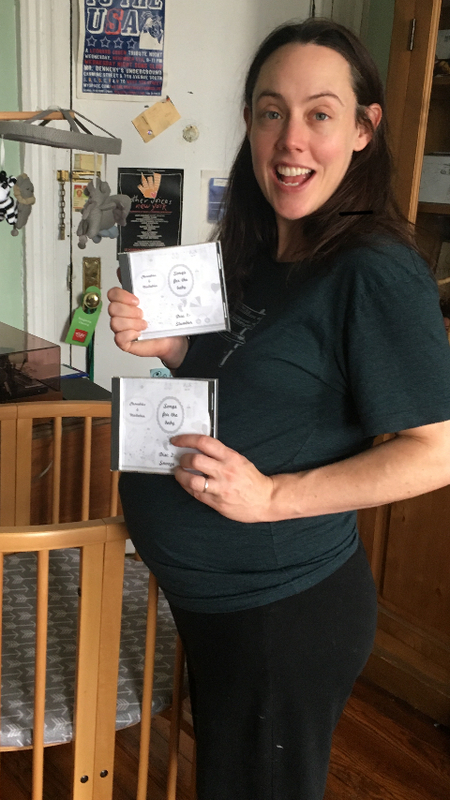 Last Thursday night at Big City Folk Song Club, Lara Ewen interrupted my ramblings to present me with two CDs of lullabies that our friends had recorded for Clare and myself and our baby to be. Twenty five songs on two Cds, a mix of originals, covers and traditional tunes. It’s really good. It took a lot of time and thought and work. Myself and Clare are feeling incredibly grateful to you all for such a sweet gesture that has translated into two discs of beautiful lullabies. After 12 years in this restless city, I feel incredibly fortunate to have found this community of friends through music. Thank you Lara Ewen, EW Harris, Chris Q. Murphy, Warren Malone, Bert Lee, Ryan Morgan, Karen Dahlstrom, Robyn Shepherd, Imran Ahmed, Molly Murphy, Phil Harris. Jenni Messner, Jasper Lewis, Jo Kroger, Shannon Pelcher, May Cheung, Jenna Nicholls, Dennis Cronin, Richard Young, Ali Aslam, Len Monachello, Brandon Wilde, Liv Hally, Chris Michael, Tina West, Jessi Robertson, Those Sensible Shoes.